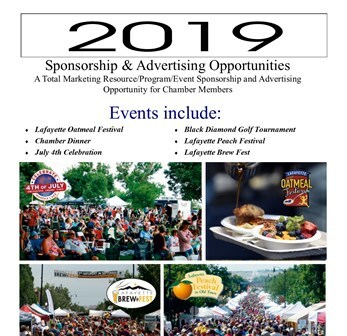 Welcome to the Lafayette Colorado Chamber of Commerce! Lafayette is located in southeast Boulder County and offers the perfect blend of small town hospitality and charm with today’s sophisticated capabilities. From its beginning as a coal mining community in 1889, Lafayette now combines the best of both worlds…urban amenities without urban hassles. Lafayette offers the best in education, recreation, climate, health care, cultural and community services. Come explore Lafayette and find out what makes us so special! 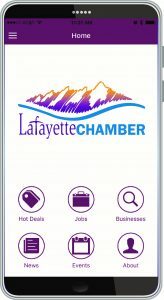 Have you downloaded the Chamber's mobile app yet? Find networking opportunities with Chamber members/events, business directory, hot deals, jobs and news with a click of a finger.